One of the major early decisions of the Obama presidency in America—a decision intended to establish a sharp break with the Bush regime’s way of working—was the resolution to shut down the prison camp at Guantanamo Bay by January 2010. 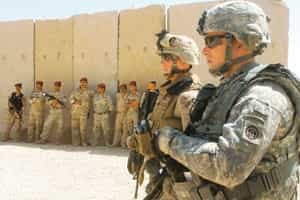 This site has been one of the key locations, along with the Abu Ghraib prison in Iraq, that has led to the debilitation of America’s moral standing in the world, and has created a general derision at the purported aims of the “war on terror". Todorov is worried about how the Bush government introduced euphemisms such as “illegal enemy combatant" and “enhanced interrogation techniques" to work its way around prevailing strictures against the use of torture to extract information from suspects. He is also worried about the support extended to such practices by other governments in the free world. But he is distressed, most of all, by the change in the moral climate that has made ordinary citizens of democracies, like you and me, believe that torture is a worthwhile way of ensuring that our safety is protected. A common hypothetical situation dreamt up by apologists for torture (and there are many “hawks" among democratic thinkers who subscribe to such views) is the “ticking bomb scenario". A terrorist has been arrested; it is known he has planted a bomb somewhere. There is only one hour to find out where. The lives of thousands of citizens are at stake. In such a situation, would you not use the harshest methods to get the necessary information out of the detainee? If you say “no", you are assumed to be an unpatriotic and illogical namby-pamby. Lastly, even if torture allows, in a small number of cases, the resolution of a short-term crisis, in the long run it does incalculable damage to the moral standing of nations, inflames hostility among adversaries, and makes the population of neutral countries unsympathetic to the cause. As the Haitian-American writer Edwidge Danticat has written, “Torture aims for a single goal—obtaining information—but it achieves a slew of others." Citizens of democracies, notes Todorov, often criticize sharply the human rights violations of totalitarian regimes. But we should look closer home too, to see if we are not, by degrees, being turned into the very brutes that we so abhor. Even if we are not actually at fault ourselves, barbarous acts are being committed by governments we have elected, that claim to be acting in our interest. But there are no good reasons for torture, either on the count of utility or of morality. 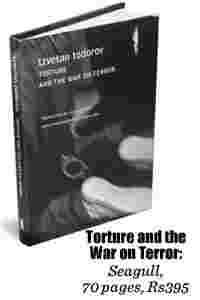 Todorov’s short, trenchant book is a reminder that we cannot be tough on terror without also, paradoxically, being tough on torture.